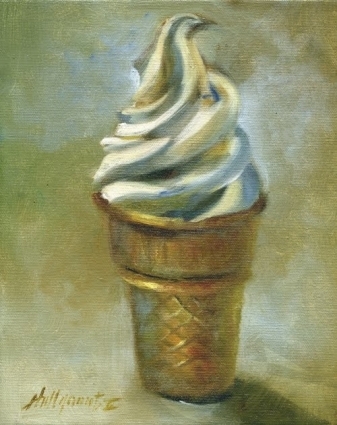 Vanilla ice cream has a rich taste and appealing aroma, making it the best selling ice cream flavor around. The Wikipedia page devoted to vanilla notes that it is the second most expensive spice after saffron, because of the labor required to grow the vanilla seed pods.Vanilla is used in foods, perfumes, aromatherapy, and apparently even as a bug repellant and a home remedy for minor burns. Clearly, it is very versatile. However, when promoting a product, a ‘vanilla’ description is anything but appealing or versatile. Product descriptions are critical in product positioning. Descriptions provide the basis for establishing a brand identity, a communication platform, a competitive edge, the value proposition and so much more. In the medical device space product descriptions are considered labeling. Significant effort and expense goes into securing medical device labeling. Because medical device labeling is absolute and creative license is forbidden, getting it right is critical. To have the best possible chance at successful product adoption customers should readily recognize the value of the product through the labeling. Product descriptions should resonate intrinsically with the customer. Understanding customer needs is the core responsibility of marketing. Therefore, involvement by marketing in the product description is essential. It is senseless to disconnect the customer and patient advocate – marketing, from the customer and patient guardian – regulatory/clinical. Proactive interaction by marketing with the regulatory/clinical department early on in the clinical plan development provides the best possible outcome for labeling that will resonate with the physician customer.This is not about making it easy for marketing to promote a product. Nor is it about securing labeling that is loose, boastful or inaccurate in any way. Rather, this assertion that marketing participate in the discussion about the clinical plan and the desired outcome is because marketing should be leading the efforts to ensure that the product or service truly meets and exceeds customer expectations and is reflected clearly in product descriptions. The regulatory/ clinical expertise is most impactful by establishing strong and undisputed product labeling, that doesn’t need interpretation or lyrical descriptions for the product to be appreciated. Many marketers complain that they are hamstrung by the regulatory department when product promotion and communication plans and tactics are proposed. Many regulatory departments cringe at the creative approach marketers present to convey a product purpose, benefits and applications. through the distillation of customer needs by marketing. And while that seems a mouthful and a tall order, early collaboration between marketing and regulatory/clinical is the most likely path to labeling that is descriptive and telling. The kind of labeling where ‘creative marketing’ is about the many ways to communicate product availability and not about the many words required for product description. Product labeling typically happens only once. Getting it right so the right customer connects their needs with the value of the product will make the best use of all efforts to promote and protect. (c) 2010 pH Consulting; all rights reserved.